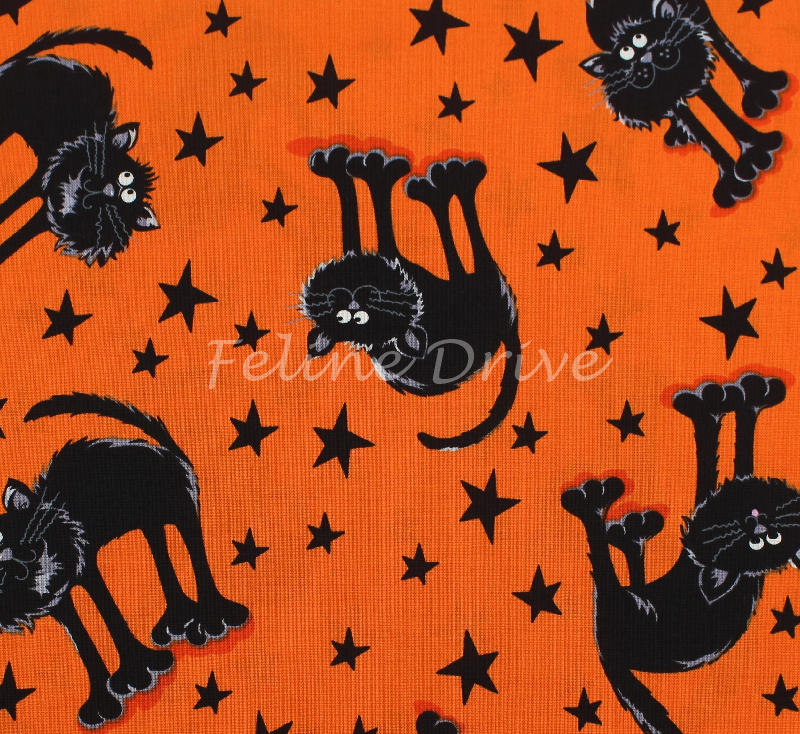 These Halloween black cats are not-so-scary with their big paws and smiles! 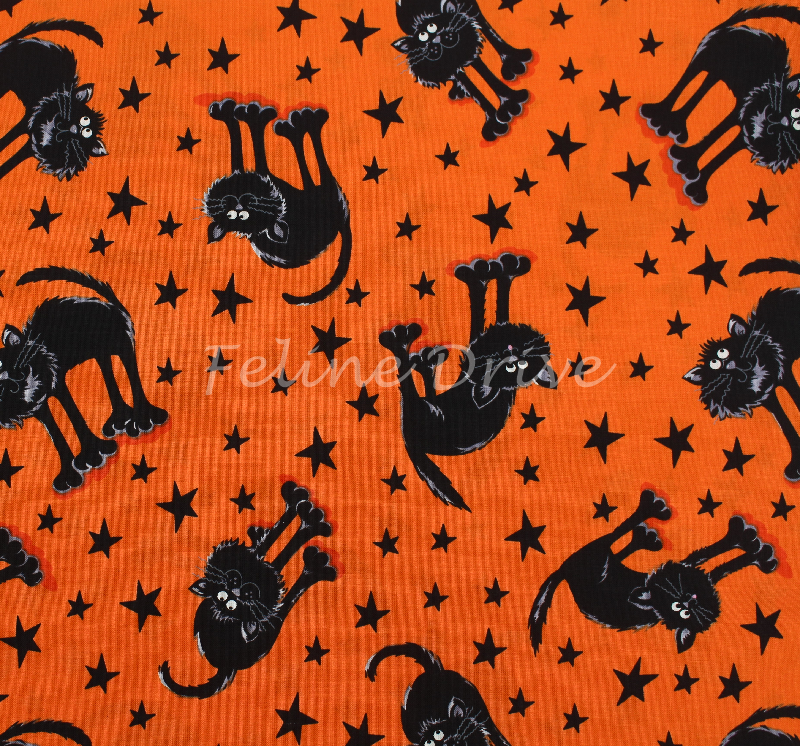 Black cats and stars on a bright orange background. Print Size:Cat faces are approximately 1.25" across.